My friend, Nancy Dawson, of Brideface will be heading up a New Year’s Eve Glam-a-Thon benefitting the Arthritis Foundation. The event will be on Monday, December 31 from 1-6pm at the Brideface studio in Covington. This is a cause my family is very passionate about since my husband, Pete, has RA. You’ll get you hair and makeup done for your big night out and support a great cause in the process! 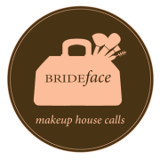 Reserve your appointment by messaging Nancy via email at nancy@brideface.com or post on the event’s Facebook page wall. Spots are going to go quickly so make sure you reserve your appointment today!